The basement of this large and beautiful home was not finished and the homeowners were ready to complete their basement, which would include a bathroom, a large seating area, and installation of a refrigerator and cabinetry. 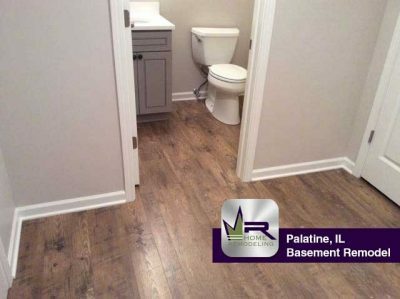 The homeowners wanted to increase the practicality of their large basement and convert it into a space that could be utilized more often and more effectively. 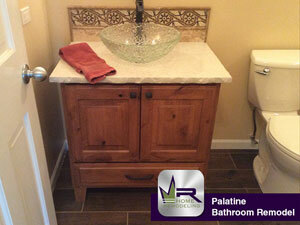 This lovely property was in need of a large upgrade to a large master bathroom. 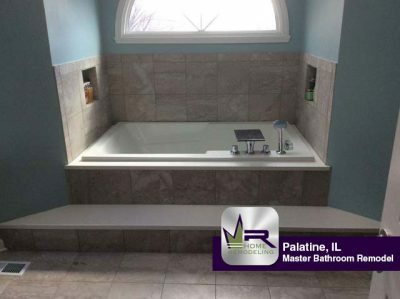 The old bathroom was outdated and the homeowners were ready to remodel for newer appliances as well as a different finish with more character. The grout in the preexisting floor was dirty and ready to be removed as well. Regency removed the floor, vanities, and all fixtures and then began replacing everything with modern and upgraded fixtures and finishes.